Thanks to /u/boyd86 for this recent swap. Glad I was finally able to try it. England. Land of the Englands. Place sometimes called “The UK” and “Old Queenie Pants summer Home”. I, personally, love going back to the Mother Land of England. The food is different, the people enjoy my funny, odd accented ways, and overall there’s more whisky there. 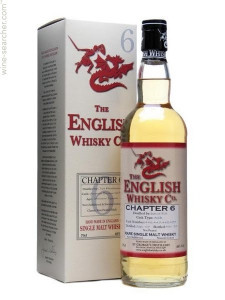 You’d think, what with the Breton and Scottish and Irish whisky regions, that there would be some sort of English whisky practice. You’d think there’s a bunch. In a way, there are, because some of them are along the Scottish border, or in English territory, however they typically get thrown into the Lowlands at that point.